The Vanishing Unicorns were an early bloodline race of Unicorns that were technically Tri-Corns; they had one primary horn that was long & permanent, and two smaller horns that fell out and regrew every Spring. They were known as the Vanishing Unicorn because of their ability to materialize and dematerialize upon will. It was said the only way to catch a Vanishing Unicorn was to approach the Unicorn from behind, with great stealth, and grab hold of their tail so they could not vanish. To catch a Vanishing Unicorn meant you were a person of great, chosen power. It became the quest of many adventurers to not only catch a Vanishing Unicorn but to cut a piece of their tail hair away as a souvenir. The power of the tail hair was said to provide various levels of invisibility; especially when the tail hair was woven in with your own hair. The Vanishing Unicorns were care-givers to their territory and were able to protect, support and heal those creatures in their care. It's believed the Vanishing Unicorn race was extinct prior to the last few hundred years of BC. They were beautiful creatures of stunning white hide and mane and their mane hair sparkled like silver in the Sun. The fear of witchcraft swept through Europe and America like a plague of paranoia. Tens of thousands of innocent people were slaughtered out of fear, hate, and worst of all... spite. In the beginning it was a quiet murmur and quiet admonishment of the practices of magick. The Tylwyth Teg spans a larger race of Fae that varies in size, shape, and appearance; ranging from dainty little creatures to hideous pygmy-like Fae. They are forest-dwelling Fae whose varied descriptions are due largely in part to the fact they are one of the oldest races of Fae that spanned tens of thousands of years. They are traditionally darker in nature, and they are known to be pranksters, thieves, and troublemakers. They lived in smaller communities in forests, and sometimes caves, and were notorious for their territorial attitudes. In some of the more recent history of the Tylwyth Teg they were known to raid villages, leave changelings for human babies, and overall be a nuisance; though that is primarily towards the end of their history. 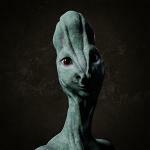 The Ulijju (Ool-eeg-goo) are beings who were made of anything & everything throughout the world. They were incredible beings of untouchable power as they were anything and everything they came into contact with. They absorbed energy, behavior, characteristics, and traits of any living or non-living object, and then become the object even better than the original. They were originally from the Astral Realm, and eventually moved within the Earth for hundreds of thousands of years. They used their powers to move throughout the Earth undetected. They were stealthy, wise, ingenius, and incredibly influential when it comes to manipulating energy and matter around them. They are brilliant problem-solvers who can use their extensive knowledge, after assuming the identity of so many different beings, to resolve issues, gain victory in situations, and resolve power through various actions. They are loyal beings who take action with meticulous and personal devotion. The Valkyries are Norse bird goddesses who are pshycopomps, escorting the souls of the deceased to the afterlife. They are also the goddesses of life, death, battle, and magic. They often appear at a battle to influence the outcome. The Valkyrie serves as hostesses at Valhalla, Odin’s great hall. A race of beautifully exotic and enchanting Merfolk who had quite a darker side. They were a race of Merfolk that bred only the best of themselves to create a race of wondrously alluring & enchanting people. They used their powers to gain everything they wanted from a world beneath the ocean's surface, as well as many of the coastal communities alive during their existence. The Varanka Merfolk lived in the Mediterranean Ocean, primarily, and had complex communities with royalty, hierachy, and vast power. They were enchanters who used the Water Element as fuel for their magical works. They were capable of controlling the water and could bring about raging storms that would sink ships if they were not given proper offerings by those who traveled through their waters. They were sometimes ruthless in getting what they wanted, and their quest for supreme power is eventually what led to their downfall. Wendigo are beings who lived deep within the forests throughout the Americas and even said to have been throughout Europe and Asia in smaller number. They are on the darker side of the spectrum of creatures as they are often associated with cannibalism. However, it's important to note they do not eat their own kind, they were opportunists who would eat anything that came too close to them when they were hungry. The Zakiff are incredible time travelers who move through portals throughout the Universe to travel through time. They can travel from 5 minutes ago to millions of years ago. They can travel from a few seconds in the future to millions of years into the future; anywhere in the Universe. They are extremely enlightened and well-informed entities who appear in many different forms. They typically take a form familiar to wherever they are visiting, and to you they will likely appear as a human. In their natural form they are metallic-colored in copper with hairless bodies and large, gold eyes. They are beautiful entities who possess tremendous power. Beautiful and intriguing, the Zyrlata Witches were an early AD coven that focused their efforts on powerful, dark rituals of magic. They were known for their extremely influential talent in commanding the Elements and bending Elemental powers to their will. They were devoted to their craft and spent ages cultivating a coven that would be vastly influential through the European region for a few hundred years; with covens forming from the Mediterranean to the Atlantic. The Zyrlata Witches were primarily female as they began a female-only coven, but they did embrace male members in later years. They are dark and beautiful witches who embrace the totality of magic and they are incredible teachers for those who want to learn magic themselves. You will discover their creativity is like a breath of fresh air for your journey through the supernatural. 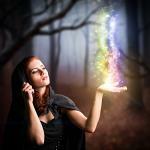 Custom Conjuration Or Binding During Full Moon! We love working with the Moon; its a large part of the reason we "bought" property on the moon. This is an offering for work to be custom bound on the day of a Full Moon. You will receive your choice of a spirit, or spell, bound specifically for you, along with a binding of enchantments to help you Renew & Replenish Yourself in all aspects, to help you Achieve Desires & have Wishes Granted, to bring Prosperity & Success to the New Year, and help you Awaken Your Paranormal Energies. The Pasirili Ghosts are actually beings who live between worlds, often appearing in a ghost-like manner to those they choose to manifest before. They can appear in almost entire tangible form, or as a mist-like apparition, with soft-spoken voices that seem to call to you. They are capable of slight time travel, moving days at a time forward or backward, they are capable of reading minds & hearts with top-level information, and they are guides for those who are travelers between dimensions. The Pasirili Ghosts often choose to manifest to those who are on a spiritual path because they support the ongoing appreciation and knowledge of spiritual & supernatural power. They are a charming and engaging race that has a special place in the world of beings. Peuchen are shape-shifting Vampires who transform into animals and use the paralyzing power of their stare to render their prey immobile, thus allowing them to feed on their victim's blood. Peuchen can shift immediately upon their will and are aggressive predators who stake a territory and will not back off for any reason. Every Peuchen has their favorite animal forms and most can only transform into two or three animals. They are clever and dark predators whose thirst for power and blood drives them. As Vampires they are on the darker side and capable of quite fearsome behavior. They are known to work solo but they can be found in packs; rare but terrifying. They are creatures with legs more than six feet in length... incredibly long compared to their torso. Their necks are just under six feet and hold up their elongated heads. They have transparent fin-like wings that extend across their back and cover their tails. They are extremely graceful creatures that float like a breeze through the sky and can hover for long periods of time. They live only above the clouds and never land. The females give birth in the air and the offspring can fly immediately. Sasi Witches are not human, they multi-dimensional beings who practice eons-old magic. While they have very human-like forms, they are beyond mortal and have capabilities with magic, Elements, and supernatural abilities. They have mild shape-shifting abilities which allows them to change things about their appearance and presence. They have the ability to conjure energy from within the dimensions, which allows them to materialize things they wish upon command. They are exceedingly gracious, compassionate, thoughtful, and supportive as companions. They are amazing teachers, and they help you discover power within yourself and your life. They help you see the little things in your journey and life that can really make a change in your Destiny. Selkie are the "seal-people" who famously live off the coasts of Orkney and Shetland islands; though they held colonies worldwide. They are in the Merfok family with the upper body of a human and the lower body of a seal. They were known for enjoying the company of humans and were known to mate with humans in their territory. Selkies are extremely fast swimmers who could travel great distances in a short amount of time. They lived in thriving colonies of at least fifty members or more. They are friendly, social, and are human-like in their range of emotions. Like all Merfolk they are particularly charming and easy-going which makes them wonderful friends. The Shali are Elf-like and Faery-like beings who can have pointed ears and most of the Shali have feathered wings. They are upright, have a human-like head, legs, torso, etc they just have feathered wings instead of arms. They range between 3'-4' in height. They are magnificent guardians who use the power of the Air Element to persuade and control the mystical powers of the Earth. The Sirinia Fae colony thrived for more than 4,000 years in the Hungarian region of the world. A race less than 1/2' in height, with varying eye & hair color, and peach-toned skin. They were on friendly terms with humans, though populated areas with little or no human contact. They brought bountiful prosperity to the areas they lived in providing longevity & good health to the creatures & foliage in the areas of their colony. They created life-long friendships and relationships with other species around them, and their giving hearts made them beloved by many. They lived in small family groups and often kept pets. The Sirinia Fae were a tightly-knit group who thrived for thousands of years and numbered more than a million at one time.